Europe’s response to the strategic challenges it is facing – Russian aggression in Ukraine, refugees fleeing violence in the Middle East, disorder in North Africa – leaves the impression that its leaders have no idea what to do. And indeed, they may not – a reality that needs to be acknowledged. Simply put, the EU’s stagnant economy is conditioning its response to the external pressures it confronts; internal crisis has left EU leaders little room for manoeuvre. Fortunately, Europe has the means to address this crisis, if it can summon the wisdom and the political will. The origins of the EU’s problems lie in its response to the 2008 global financial crisis: two years of large-scale fiscal stimulus. While this did little for growth, it resulted in crippling public debt. Seven years later, EU output per person is no higher than it was at the start of the crisis. Meanwhile, average public debt has soared to 87 percent of GDP, leaving little space for policy flexibility or innovation. In hindsight, it is all too obvious what should have been done. Greece, which carried out the biggest fiscal stimulus, is the country whose economy has suffered the most damage. Its depression continues, whereas countries like Latvia, Lithuania, and Estonia, which carried out early, radical fiscal adjustments and liberalised their economies, are enjoying strong growth. Furthermore, the slow pace of European decision-making has compounded Greece’s troubles. When it comes to economic policy, a fast, faulty decision is often better than inaction. Instead of resolving the Greek financial crisis quickly, EU leaders allowed it to crowd out discussion of other issues for five long years. Meanwhile, Greece limped along, never taking the decisive measures that might have restored confidence. With its attention focused on macroeconomics, the EU neglected to take the measures that would have put economic growth back on track: freeing up markets, cutting spending (rather than raising taxes), and, above all, further developing its greatest asset – the single European market. Little has changed since Italian economists Alberto Alesina and Francesco Giavazzi noted, nearly a decade ago, that “without serious, deep, and comprehensive reforms, Europe will inexorably decline, both economically and politically”. They warned that “absent profound change, in 20 or 30 years the share of Europe [in world output] will be significantly lower than it is today, and, perhaps more important, its political influence will be much trimmed”. In order to fund this spending, revenues must be raised. And, because it is difficult to tax capital efficiently, Europe has imposed exorbitant levies on labour. Across the continent, but especially in southern Europe, taxes and strict labour market regulations keep unemployment high, at 11 percent of the labour force, and dissuade Europeans from investing in their education. The natural consequences are too little employment, too little investment in sophisticated education, too little innovation, and minimal increases in productivity. Most striking is European backwardness in high-tech development and innovation. By almost any measure, most of Europe looks pitiable. Of the 50 best universities in the world, according to the Shanghai list and The Times’ list, some 30 are American, six or seven are British, and only a handful are to be found in continental Europe. A half-dozen northern European countries can compete with the US when it comes to research and development spending and patents granted, but the south and east of Europe lag far behind. Meanwhile, the EU has yet to open its markets for business services and digital trade, on which the American economy thrives, even though services account for about 70 percent of GDP in most EU countries. In 2006, the European Commission issued a directive on the liberalisation of trade in services, but major countries – particularly Germany – have refused to implement it. The absence of services and digital markets harms the development of a modern economy in Europe. It is not by chance that American giants like Apple, Amazon and Google rule the world of high-tech. There is nothing inevitable about Europe’s malaise, just as there is nothing quintessentially European about having excessive social transfers. Serious European governments – from Ireland to Poland – have successfully addressed the problem. The rest of the EU should not only follow suit; they should also cut income and payroll taxes and liberalise their labour markets. Fundamental economic reforms are usually implemented only after a severe crisis, as was the case in Britain in the late 1970s, in Sweden and Finland in the early 1990s, and in Eastern Europe after the collapse of communism in 1989. The EU has wasted the opportunities afforded by the 2008 global financial crisis and the subsequent euro crisis. 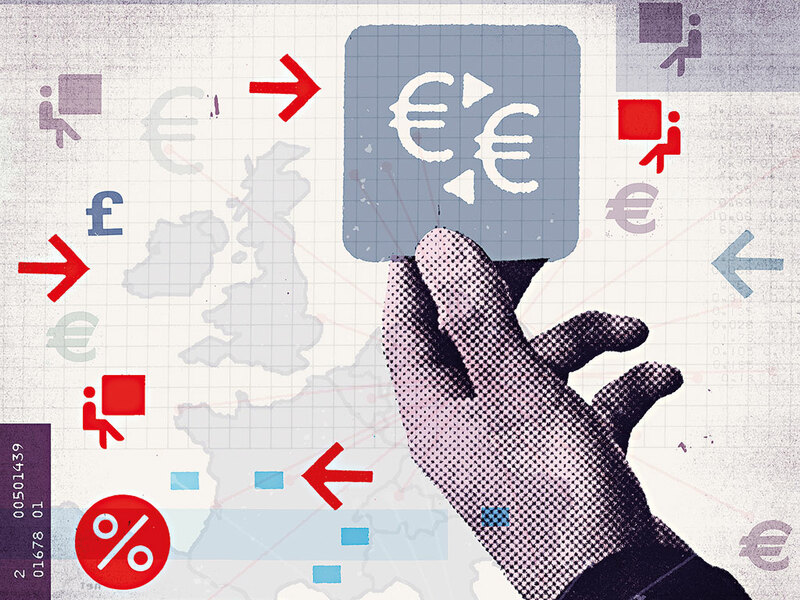 Rather than making the difficult changes that would enable strong recovery, Europe’s policymakers have weighed down the economy with more spending and debt. The EU will continue to flounder until it recognizes its mistakes and begins to carry out the reforms its economy needs. Only by putting the continent firmly back on the path of growth will Europe’s leaders be able to address the external challenges they now confront.